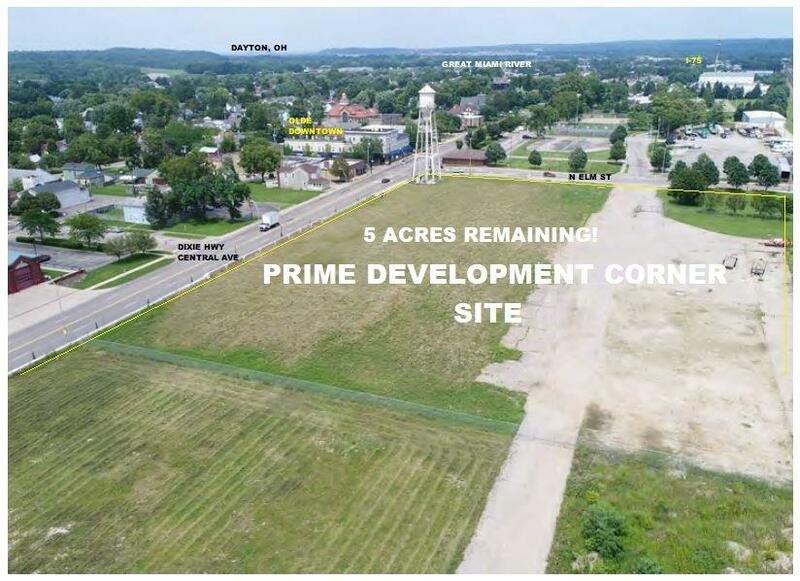 This 5 +/- acre parcel is offered for redevelopment and is a newly created sizeable area for commercial development within the city of West Carrollton. Sitting within Olde Downtown, it boasts a rich offering of residential, commercial, industrial and historic buildings and will serve the needs of the community, downtown, and the significant traffic on Central Avenue, also known as the Dixie Highway. Minutes to I-75 and all south suburbs. Walking distance to parks, sports, services, heavy residential, library, restaurants, the Great Miami River Trail, and much more! Centered in a significant community activity center, including indoor/outdoor volleyball, softball, tennis, basketball, bike trail, library and community services.